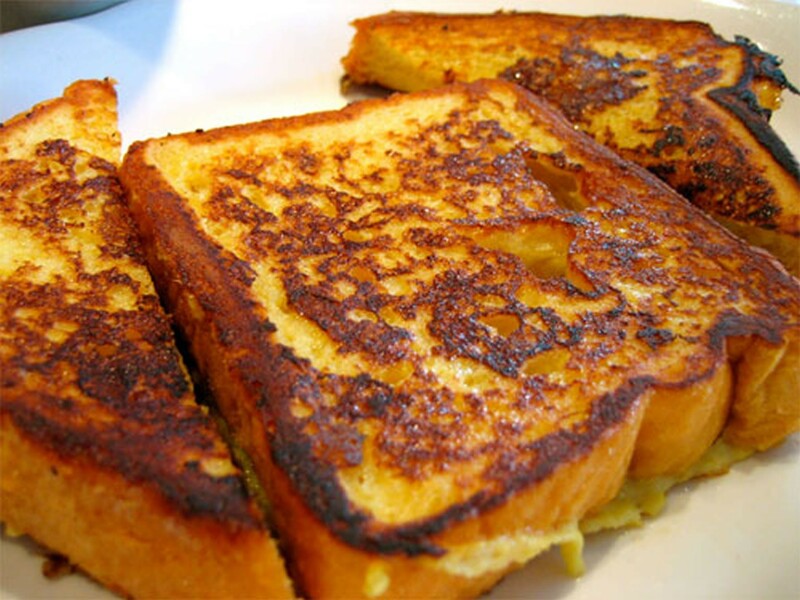 Bombay Toast is a quick and simple breakfast dish. This is an Indian version of French toast. Boil the milk and add sugar to it. Allow the milk to cool down. Add the boiled milk, eggs, vanilla essence to a mixer and blend it. Heat a pan in medium flame. Dip the bread slices one by one in the batter. Toast them in the pan with ghee. Flip over and cook the other side of the bread. Feel free to comment or share your thoughts on this Bombay Bread Toast Recipe from Awesome Cuisine.